Portland Security Services provides a qaulity mobile security patrol service that you can rely, all of our vehicles have GPS trackers and we provide real-time patrol reports of actual visit times, with detailed reporting, we can co-ordinating with support services, if we discover an incident at your property, we provide a comprenhesive and cost effective mobile patrol service. Not what you were looking for? We have void property alarms with video verfication to rent. No Power, No problem?, We have a number of monitored alarm systems that are operated by batteries that can last up to 1 year without a recharge, your alarm system can transmit alarm activations by GSM and images via GPRS, these activation can come directly to our alarm receiving centre or to you. We deploy fully featured alarm systems that you can rely on. We provide a comprenhensive building check services via our mobile patrol services, with no minimum amount of patrols, we can provide random patrols service, whether to check on a constructions site, empty property, or to open or unlock your building, we can provide a reliable and cost effective security solutions. 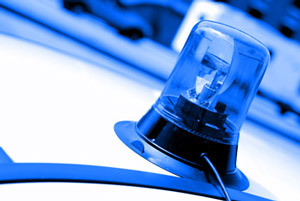 We can coordinate with your approven suppliers to carry out emergency repairs if necessary or detect criminal activity. © 2018 Portland Security Services. All rights reserved.